This yantra is dedicated to powerful planet Sun . 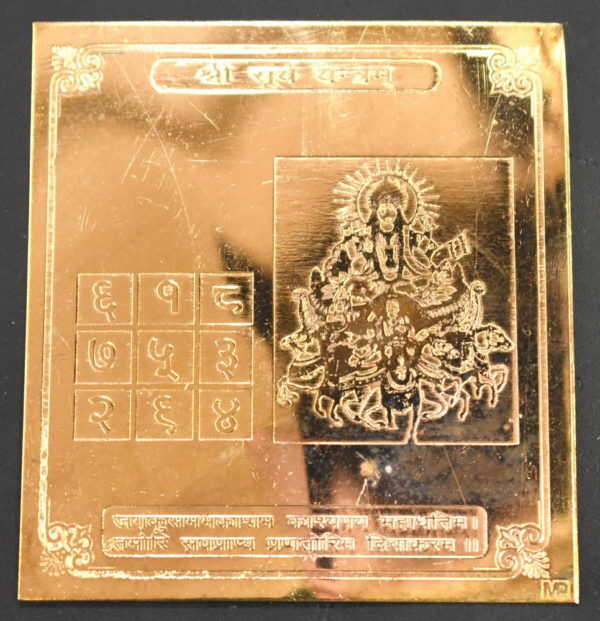 Surya Yantra is worshipped for will power , name and fame , energy , bravery , leadership and authoirty. 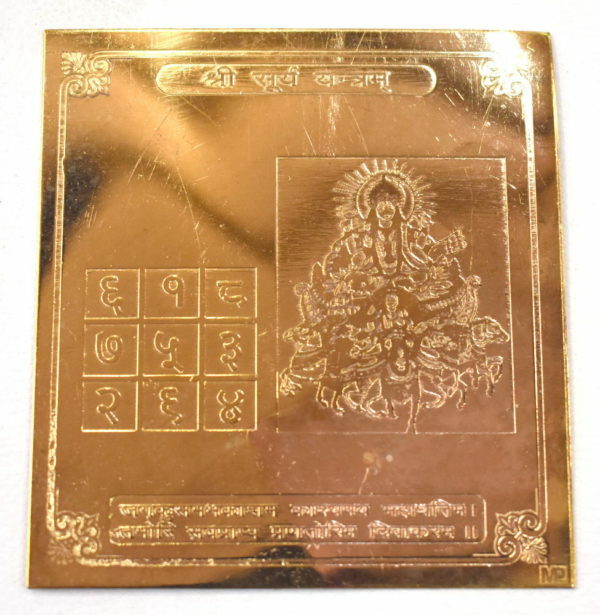 This yantra helps pacify the malefic effects of planet sun and radiate it’s beneficial powers . Promotes Leadership , bravery , power and authority . 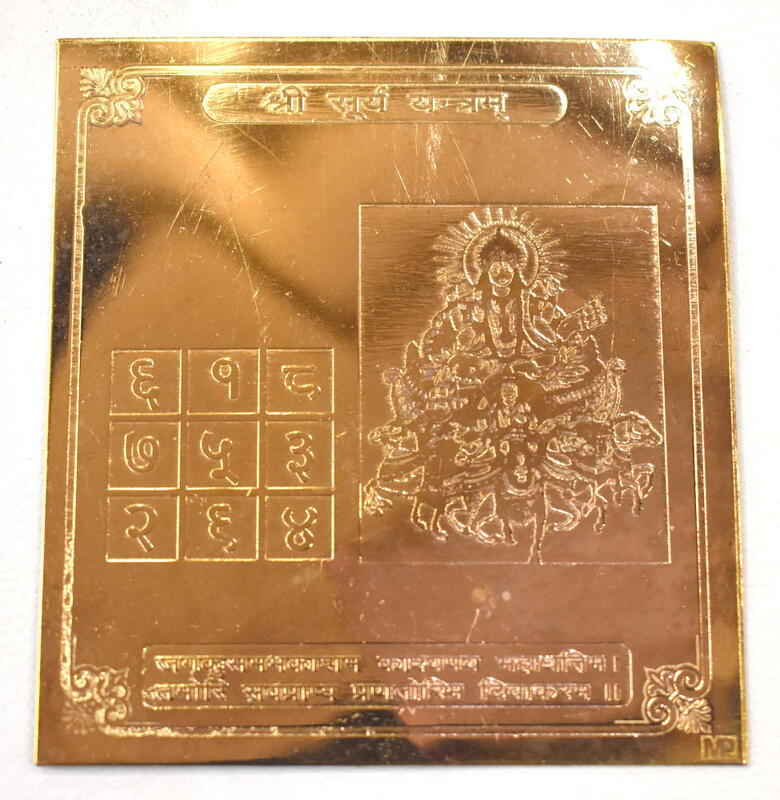 Relief from struggles , stress and health ailments . For name , fame and success in carrer and business .